Itching to have your own #ItAllStartsinManchester adventure like Vagabond3? 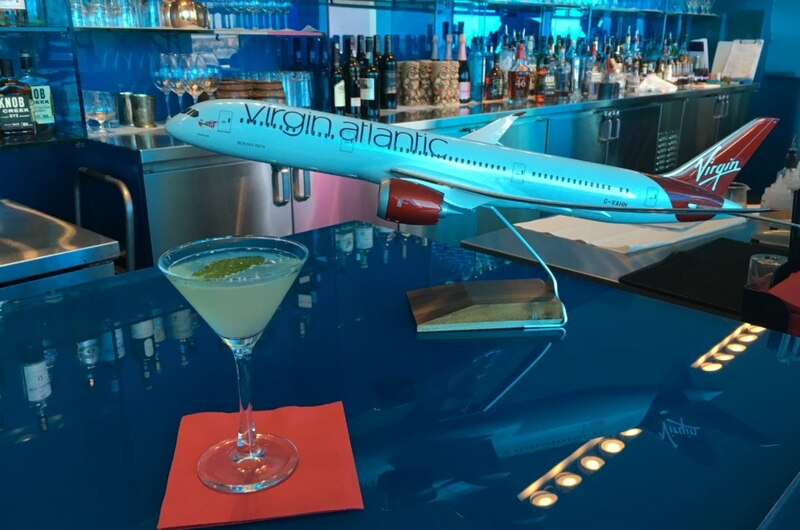 Thanks to Virgin Atlantic‘s new nonstop flights from San Francisco and Boston to Manchester, you can! Click here to begin planning your trip today. 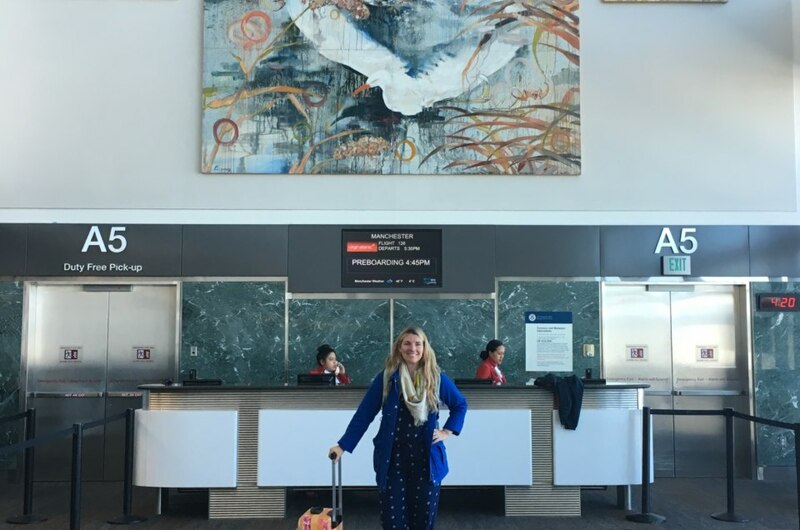 Blogger Vagabond3 boarded a Virgin Atlantic direct flight from San Francisco to Manchester, England, to discover why #ItAllStartsInManchester. Not only did she find a few surprises and delights, she came home with all the knowledge to plan a return trip sooner rather than later. Read on to learn more about her incredible trip and how you can recreate your own. Tell us a little bit about you and how you got into travel blogging and photography. I actually got into the whole travel blogging and Instagram world in a rather unique way. My friends and I won a Twitter Contest where we had to tweet 4,320 times in 72 hours to showcase how many awesome things there were to do in Sydney for a long weekend trip. It was exhausting and awesome and definitely threw us into the blogging world quite quickly. We started making video and signed up for Instagram pretty early on. Instagram is definitely my favorite social platform, and I love the new video features. I research a ton before I visit a place because I don’t like to leave any stone unturned. I have a go, go, go style that I’ve tried to calm down as I’ve gotten older. I love to try new foods, visit markets, embark on road trips and take a lot of detours. Have you visited Northern England before? If so, how was this trip different than previous trips? I hadn’t! I actually studied abroad in London back in 2003 and while we did visit Wales and Scotland, we didn’t make it up to Manchester or Liverpool. (Well, we actually did go to Liverpool, but it was only for one night to see John Mayer.) I fell in love with Manchester quite quickly — the people, the food, the energy, the diversity, the quirkiness, and the coffee. It blew my expectations out of the water. With new nonstop flights from San Francisco and Boston to Manchester, Virgin Atlantic helps you dive straight into your vacation. What was it like being part of one of its first nonstop flights? Incredible. Virgin always does such an amazing service and makes you feel like you’re in the cool club from the second you get your seat assignment. The champagne toasts as you walk on board put you at ease for the long flight ahead. The cool, relaxed lighting also helps set the tone and really got us pumped to be heading to England. Also worth noting is the food selections — each course was better than the last with the soups and pastas being superb. It also made me realize how quickly I can get across the pond from the West Coast of the US. We love to take long trips to Europe and the fact that we could be in Manchester in 10 and a half hours is unbelievable. Manchester is considered the Gateway to Northern England. What was your first stop after taking in the streets of Manchester? I was lucky to explore Manchester for a few days before visiting some nearby towns and villages. Once we got checked into our hotel, I stayed at the Radisson Blu Edwarian Mancester (perfect location in the middle of the city centre), I made my way over to Hawksmoor for a pint and some lunch. Their burgers are pretty popular, so I munched on one before heading out on a walking tour of nearby John Rylands Library and The Museum of Science and Industry. Before sunset, we walked over to Castlefield for a glass of champagne to toast our first full day in Manchester. The city of Chester was by far the biggest surprise of my trip. With Roman history, fun pubs, a gorgeous riverfront walk, and quirky hotels, there was something to admire and love around every corner. I’ve already told so many friends that live in the UK that they have to visit Chester. We loved your photos from Chester! What other areas did you explore? Besides Chester, I stayed at the Oddfellows on the Park in Bruntwood Park and the next day explored Tatton Park. 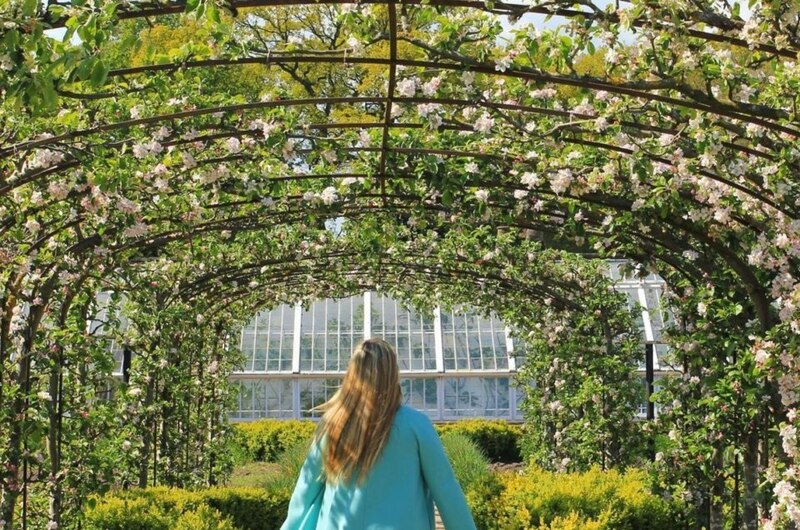 If you love green space, gardens and British countryside (that is still close enough to the city), you’ll love these two spots. Tatton Park was particularly lovely and I could have spent multiple days exploring all the trails and gardens. If you can, rent a bike so you can explore all the trails around the gardens. Oddfellows on the Park, a newly renovated Victorian mansion turned hotel, hosts an amazing dinner menu provided by Chef Ian Moss, a fun and decadent spa called The Pigsty, and suites with claw foot tubs at the foot of your bed. What would you consider some must sees for first-time visitors to Manchester? If you’re not weirded out by it, I’d say connect with the locals before you arrive. Find a few Manchester Instagrammers and comment on their photos and see if they’d be up for showing up to all their favorite spots one afternoon while you’re in town. That’s exactly what I did and I met a lovely girl (we’re now friends) who spent the whole afternoon, two cups of tea, three train rides, one taxi and two glasses of champagne with me. We walked around several of her favorite spots in the city and told me about others I should definitely check out. I loved the Northern Quarter for all the fun street art and cool coffee shops. A little further away is Altrincham Market, with some of the best food I had my whole trip. I also loved Worsley Village (again, a little outside of the main city centre) for a fun lunch away from the city and hike around the canals. If you love museums and theatre, try to catch a performance at The Lowry, where the two main stages feature some of the best dance, opera, music and theatre in the whole city. The Whitworth Art Gallery, HOME, and the Imperial War Museum are all worthy of an afternoon. How would you plan five days in Northern England and Manchester? If you’re not opposed to moving hotels and traveling to nearby cities, I’d split my time between Manchester, the Peaks District and a few other towns. Flying into Manchester, I’d start with two full days there. (But really, you could spend 5 full days in Manchester and not explore it all). After that, I’d rent a car and make my way to Chester for a night there. Continuing on, I’d travel to the national parks area for a dose of something completely different before heading back to Manchester for the final night. What travel tips would you give to someone planning a trip to Manchester? There are so many amazing restaurants and hotels and I’d really start planning around those two things. The character of the hotel really adds to your whole experience, so figure out what is important to you there (whether character or a big room or a great spa) and plan that first. Then organize each day around which restaurants and outdoor pubs and beer gardens to visit. There are so many amazing outdoor spots that it’d be a shame to be stuck inside. How did Northern England surprise you? I had heard that Manchester was dark and uninviting and that could not have been further from the truth or my experience. Instead, I found a city fully alive, with people who were excited to be there, happy to meet you and proud of the different areas of the city. From Worsely Village to a music concert in Salford, I was constantly surprised by the friendliness of the people. Ready to visit? Check out this cool 360-video from Manchester Center! Solo – Manchester Center from Travel Mindset on Vimeo.